Levi Battle's been left behind all his life. His mother could sing like a bird and she flew away like one, too. His father left him with his grandmother so he could work as a traveling salesman—until Levi's grandmother left this world entirely. Now Levi's staying with his Aunt Odella while his father is serving in the U.S. Army. But it's 1945, and the war is nearly over, and Aunt Odella decides it's time for Levi to do some leaving of his own. Before he can blink, Levi finds himself on a train from Chicago to Fayettville, North Carolina, where his father is currently stationed—last they knew. So begins an eye-opening, life-changing journey for Levi. First lesson: there are different rules for African Americans in the South than there are in Chicago. And breaking them can have serious consequences. But with the help of some kind strangers, and despite the hindrances of some unkind ones, Levi makes his way across the United States—searching for his father and finding out about himself, his country, and what it truly means to belong. Shelley Pearsall has created an unforgettable character in Levi and gives readers a remarkable tour of 1945 America through his eyes. 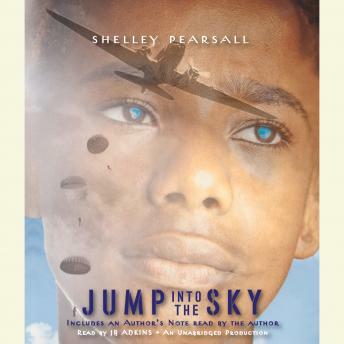 Jump into the Sky is a tour de force of historical fiction from a writer at the very top of her game.